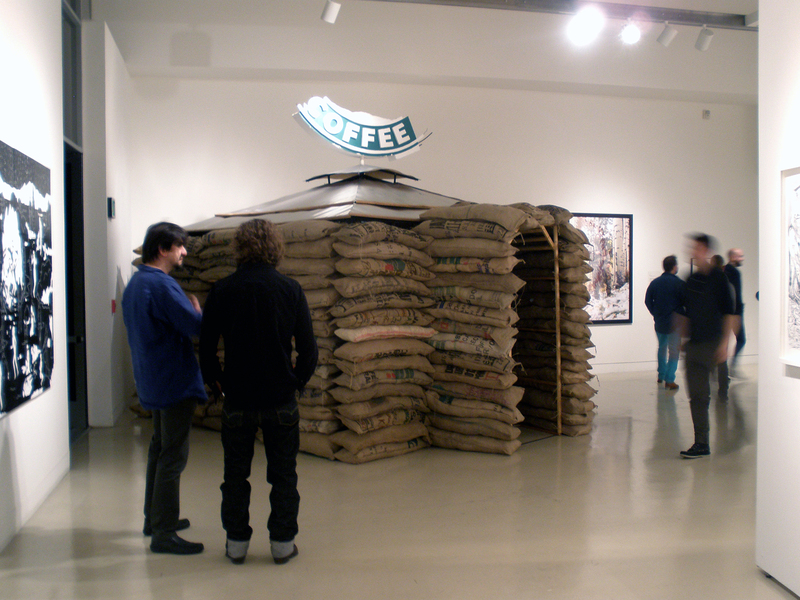 The Post-Apocalyptic Coffee House is a multimedia installation and project launched at Torrance Art Museum’s Exhibition, “Prep School – Apocalyptic Visions and Survival Scenarios.” Think of it as the last coffee house on earth, a sandbag structure that provides a safe space to sit, drink a cup of coffee, and contemplate the end of the world. It is up to viewers to determine if this structure is a bunker, sanctuary or monument. If you would like to participate in this piece, just post a short video addressing your thoughts, fears and visions of the end of the world to Twitter using the hashtag, #cuppadoom. Your “afterthoughts” may be selected as part of the permanent documentation of the artwork and shown in future exhibitions. See the Post-Apocalyptic Twitter Feed below to view contributions and comments from others. 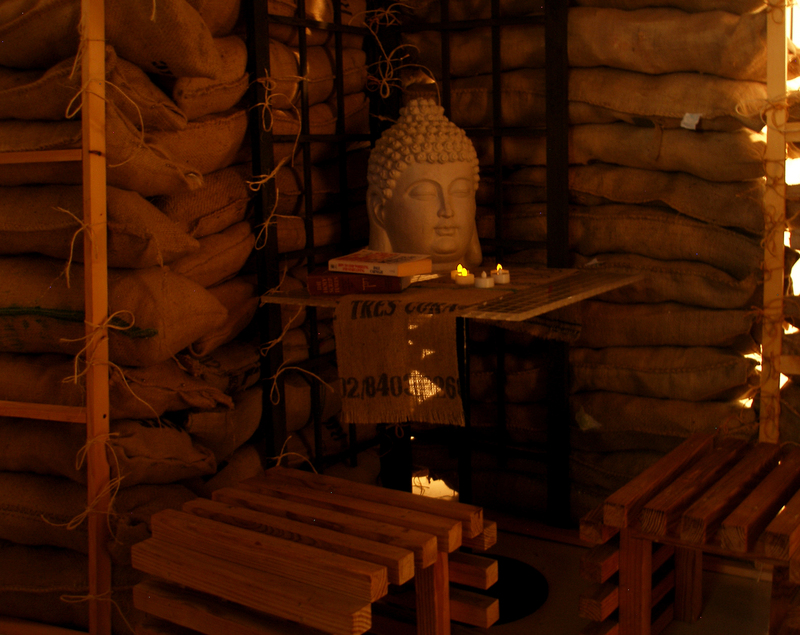 Chime in on the end of time by including the hashtag, #cuppadoom, in your tweet. If you are not on Twitter, use the same tag in posts on other sites (YouTube, Instagram, Vimeo, et al.) and we’ll do our best to include you. To share videos with us directly, send an e-mail to info@jugglingklines.com. March 14, 2014 | Filed under Projects and Works.